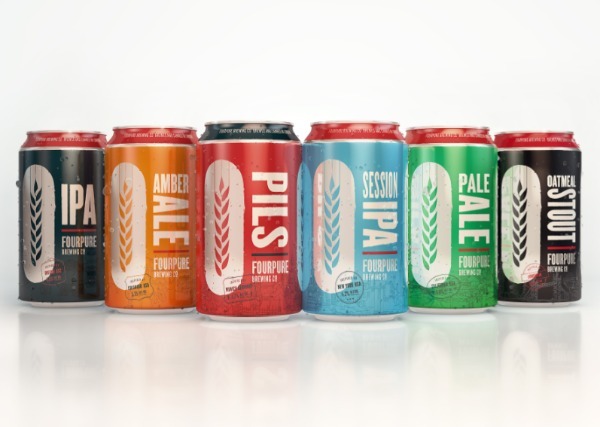 London-based craft brewery Fourpure has launched a line of speciality ales which draw on adventures around the world as the creative inspiration for its brand identity. Creative agency Mr B & Friends developed the brand strategy and packaging design for the brewery, which is owned by brothers Daniel and Thomas Lowe. The design aims to convey Fourpure’s personality, which is inspired by the founders’ "worldwide adventures". The brightly coloured labels have been inspired by luggage labels and depict illustrations of locations around the world relating to the different beers' origins.